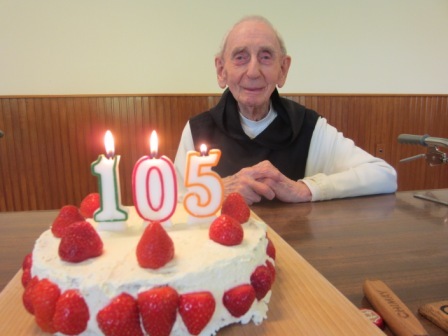 Father Bernard Bernard de Give of Scourmont became 105 years. He is the Venerable Senior of our Order with Sister Edwige of Blauvac. for his witness and his fidelity!